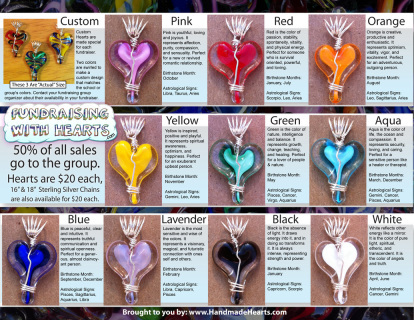 Sample kits are the best way to sell these hearts. They are money makers themselves! Everyone is required to fill out the contact us page before you can start fundraising! Once we have your info, we will provide you with free order forms, and work with you to personalize your fundrsaiser to your specific needs. This page is here to help people who have already contacted us get supplies easily, as well as provide samples to potential future fundraisers. 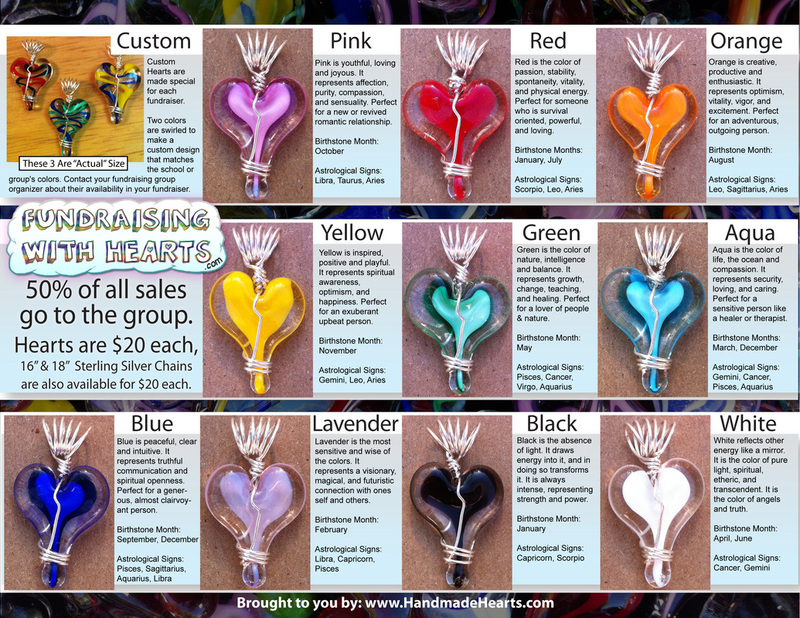 Samples of the custom colored hearts (designed to match your school or group's colors) are made to order. Order forms are included with every sample kit to get you started. You can even download and print order forms right here and start taking orders today! Get the whole set of hearts and everything you need to get started all at once! Included colors: Pink, Red, Orange, Yellow, Green, Aqua, Blue, Lavender, Black & White. Postcards & Greeting Cards included will be some of each we have in stock. This kit will retail for $570, your profit is $335! Additional order forms are included at no charge. FREE SHIPPING!! Get the whole set of hearts and everything you need to get started all at once! Included colors: Pink, Red, Orange, Yellow, Green, Aqua, Blue, Lavender, Black & White. This kit will retail for $220, your profit is $110!